The plasterers have been at it all week long and because of the enormous amount of dust, I haven't had an opportunity to get any good photos of the progress inside. The Gyprock has certainly made a difference - and it was looking very dark inside - however I imagine that first coat of paint will brighten up the interior. 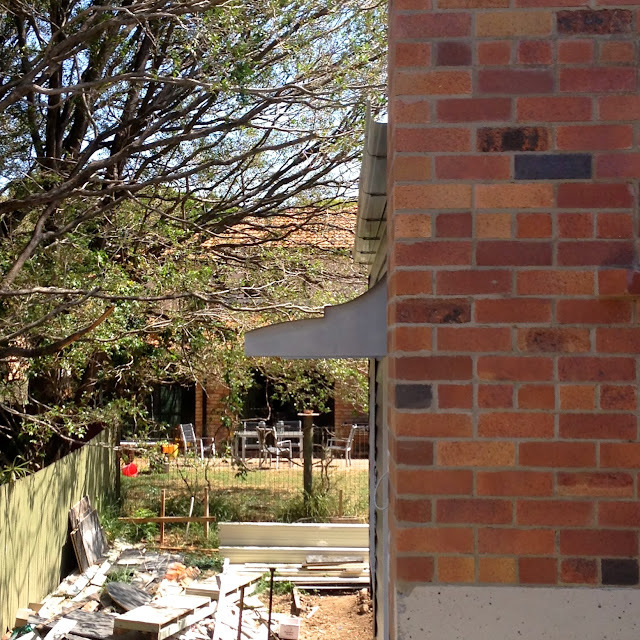 The awning that wraps around two sides of the terrace is almost complete - some flashing/capping is all that is needed and we are ready to finish off the external painting. The awning which is 900mm wide not only protects the doors and windows from the elements but will enable us to leave the doors open during the rain (when we eventually get some) and also provide some much needed shade over the terrace from the midday sun. 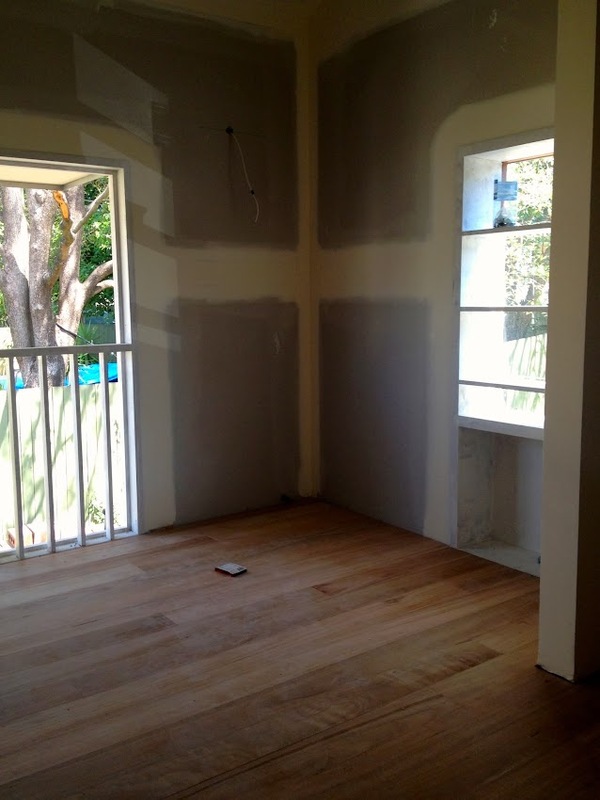 This week the majority of the Blackbutt timber floors were laid. We selected 130mm wide flooring which will tie in with the existing floorboards, however we are using 60mm boards in the corridors. Floorboards ready to sand. We are finishing the floors with Whittlewax Hard Wax Oil. Living Room - Don't freak out but this used to be the old bathroom. The sash window was relocated to this room from the old lounge room. The narrow boards have not been laid yet as there was a hiccup with the delivery, so these should be installed some time next week. So once the skirting boards have been fitted, we are ready to start painting. 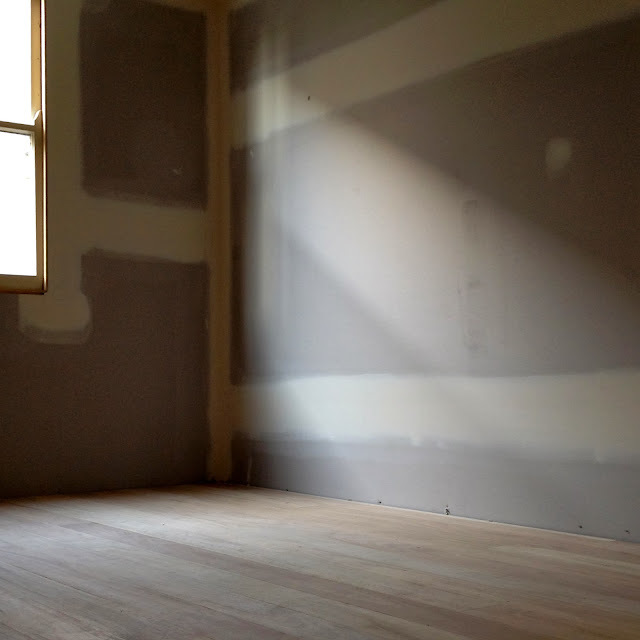 Did you know that all new timber floors require cork expansion joints to prevent the floorboards from expanding and popping up? When I found out about this the other day I freaked out and thought our new floors would look hideous. Luckily the cork is the same colour as the timber so it's not all that obvious. Did anyone of you guys who have recently had new floors laid experience the same thing? Happy with the end result? They have been fabricated incorrectly - they were supposed to be a little more slender than this, giving them more of a contemporary appearance. When they were delivered they looked a bit 'boxy', but now that they are up they don't look too bad. I made a call to keep them rather than send them back to be re-made. Anyone who has ever renovated or built a new house will tell you that there are always stuff-ups during construction - it's just part of the game. Some things you can wear - while others you can't. Everyone on IG has already seen this shot of our back door with arch surround which has come up a treat, however it's not functional yet as there are no stairs. The bricklayers return next week to construct the masonry stairs at the back door and also complete the garden walls. 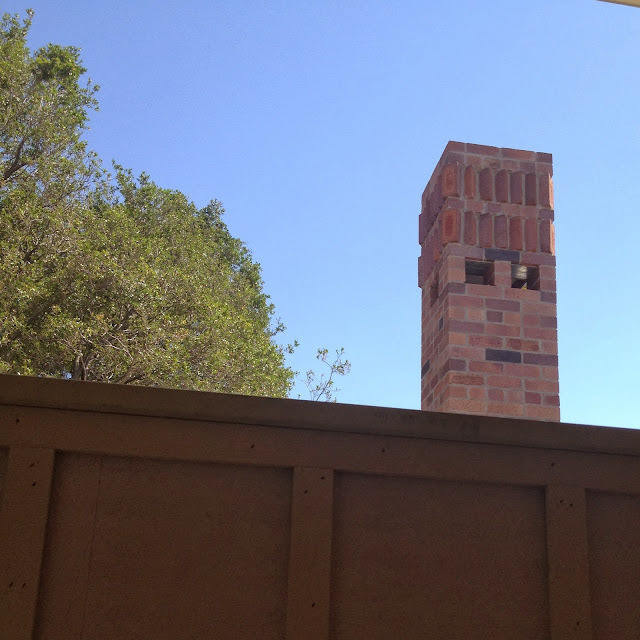 I can't go anywhere without my little chimney man following me! We had quite a lengthy meeting with the cabinet maker the other day (4 hours!) which goes to show the level of detail in the joinery. We've made a few minor changes to the design including changing the shroud around the range hood from stainless steel to painted MDF. I'm hoping that in about four weeks time we should have our new kitchen and laundry installed. Fingers crossed they get it right. It's looking good Caroline, the floors will come up a treat I'm sure. 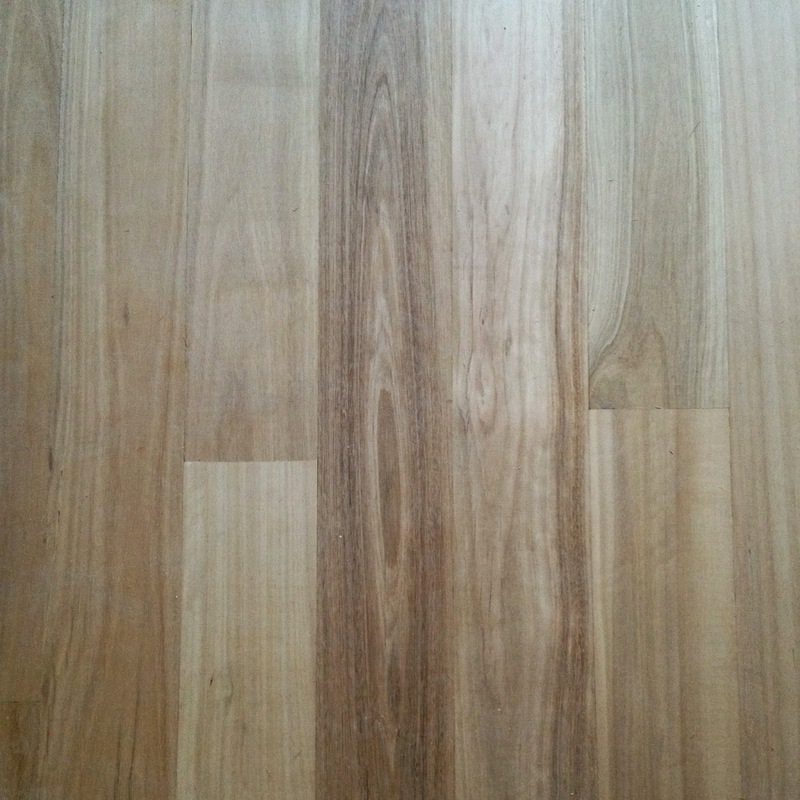 If you get a chance, could you post a photo of what you mean about the cork expansion joints for the flooring? I haven't heard about this before so would be interested on what it is and how it ties in to the floor joinery. Sure Col - I'll do a post on this topic next. Your stairs to the scullery and the awning look terrific. And that view down the hall is fabulous. Your gyprocking seems to have been finished in real good time! Ours still going, internal painting is a way off yet. And I certainly share your nervousness about kitchens, it is such an integral part of the house, that you want to get it right, but until you see it installed, it is very hard to imagine!! The floors look good already...I imagine they will look amazing once they are sanded and oiled. Have you started thinking about what you will blog about once it is all done? So exciting that it is all coming together so beautifully!